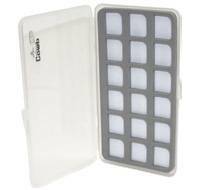 Comp-Lite fly boxes are constructed of tough, lightweight polypropylene with superior Easy-slot foam that securely holds your flies without crushing or harming the delicate dressings. 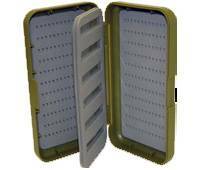 The innovative 'Easy-slot' and 'Easy-grip' design means tidier storage and also quick and easy identification of flies in low light conditions. Finished in a smart and unobtrusive olive green colour. 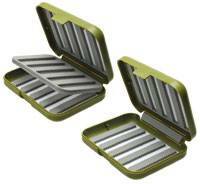 Available in both standard and swingleaf versions and designed to hold trout flies from size 10 - 20. 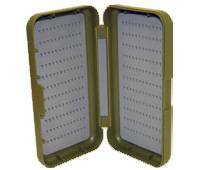 Salmon and streamer models available soon.